As part of the grounds improvement, the school wanted to install a wind turbine and PV panels to generate electricity for the school. The main aim of the project was to reduce the environmental impact of the school and support the education of the children and the wider community. The school has now achieved the Silver Eco School award. 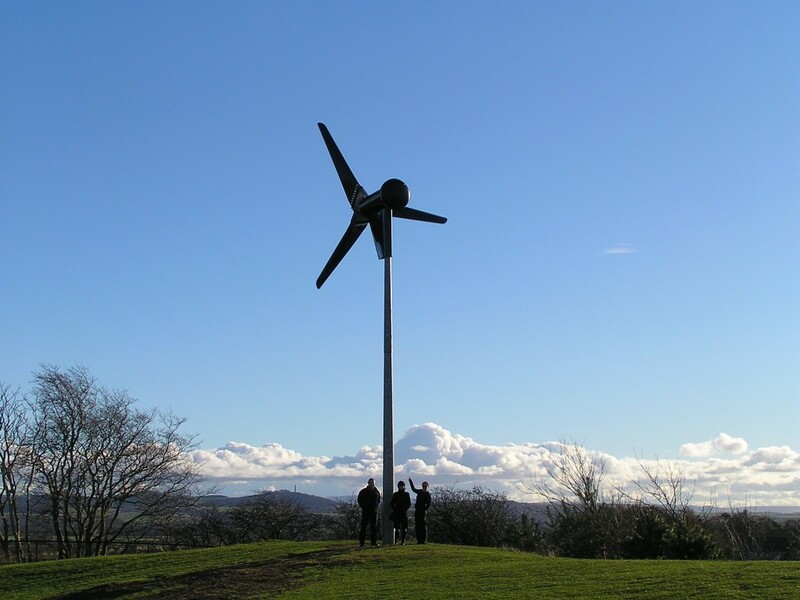 To gain an educational benefit, as well as produce some of the school’s power, we installed a 1kW solar PV System and a Proven Energy 6kW Wind turbine. This project was ahead of its time, many schools following suit after the success of the project. In total, the school’s CO2 emissions will be reduced by 7.6 tonnes per year. Because of a school’s high power requirement, almost all of the power generated will be used on site, reducing the imported power requirement by 10-20%. System design, grant funding applications, planning permission, consultation with client and the distribution network operator, liaising with East Lothian Council and system installation and commissioning. The project took 9 days to complete. The school achieved their Silver Ecoshools award as a result of the installations, and their use of the S-Cube Solar Science set we dontated to them. This teaching and first hand experience of these technologies encourages the young minds at the school to take an interest in the environment, and understand where our power comes from. Much of this information they then teach to their parents, too!